(Tetum) Seeds of Life has successfully piloted business plan training last month for three farmers’ associations that sell commercial seed, and now plans to nationally roll-out the training in 2014. Training sessions were held for three established farmers’ associations to help build their skills in managing group activities, finances and the marketing of seed. Following on from positive feedback from participants, MAF-SoL is planning to deliver the one-day training later this year to over 20 farmers’ associations who have just received registration as commercial seed producers. 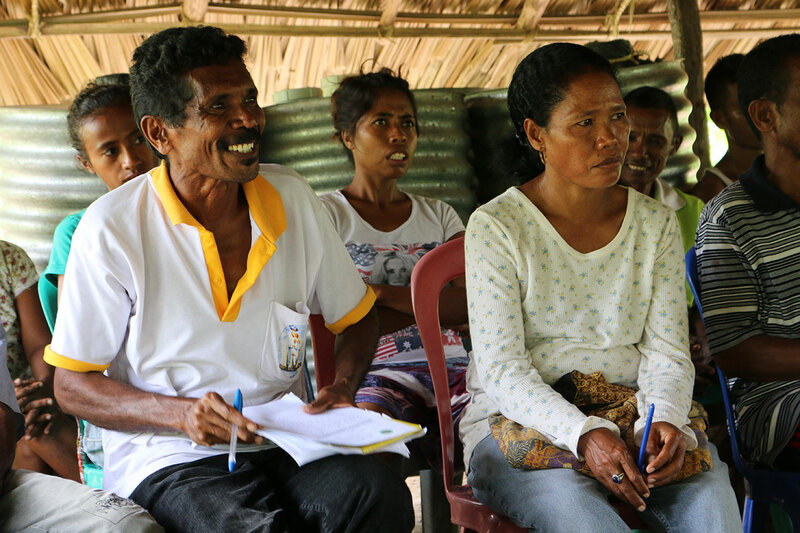 Lourentino Ximenes, Chief of Fitun Leste in Taquinomata, Laga, Baucau, said that the training was helpful for the group, as they had recently registered as a commercial seed producer. “We needed to improve our financial capacity to manage the associations’ income from producing and selling seed, so this training was really useful for us. The one-day training aims to build an association’s capacity to manage their finances, such as how much income they have earned and their expenses, and to develop other business opportunities based on an analysis of the risks and the association’s resources. Belinda Ximenes, a female member of Fitun Leste, said that the training was useful to help the group improve their skills and identify business opportunities in other sectors. “For women, we would like to produce and sell tais [traditional Timorese cloths] because many people need it for cultural ceremonies and gifts. The sale price is also good – around $60- $100 per cloth. “This training helped us understand how we can add this business activity to the association to supplement our income from producing and selling seed,” she said. Diversification of activities is important to the continued success of the association because the market for seed is seasonal and only brings in income for part of the year. 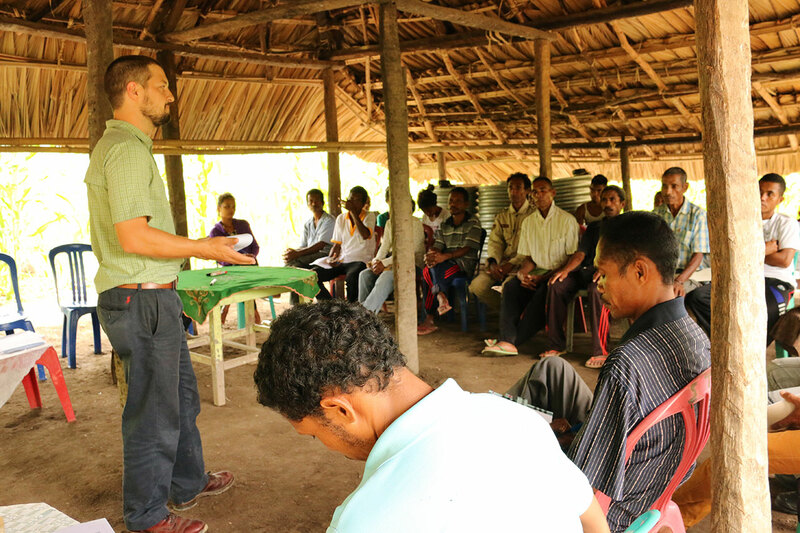 The other two pilot trainings were delivered to farmers’ associations in suco Garuia in Baucau and suco Fahilebuin Liquica. Professor Willie Erskine, Director of the University of Western Australia, Centre for Plant Genetics and Breeding, talks about researching food security in Timor-Leste. Produced by iVEC@UWA. Download via Youtube.